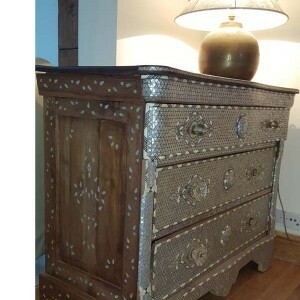 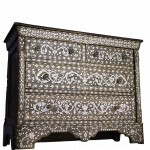 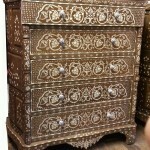 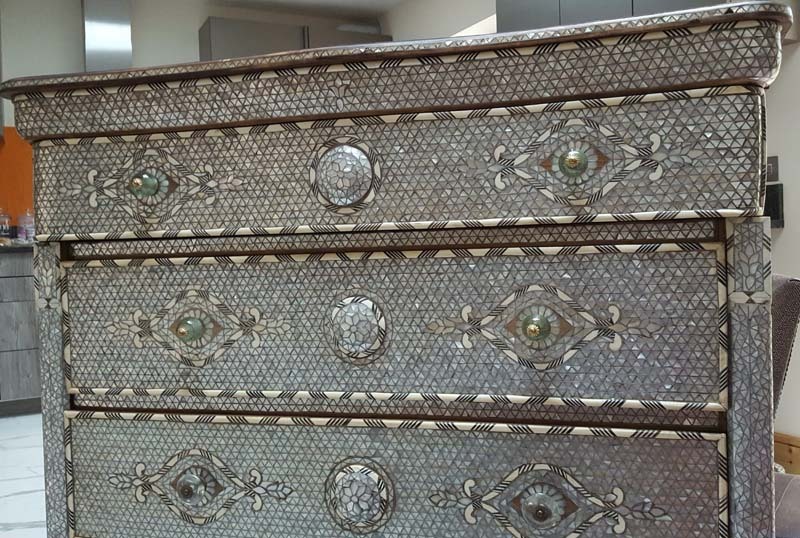 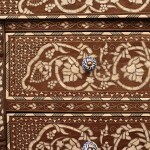 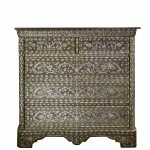 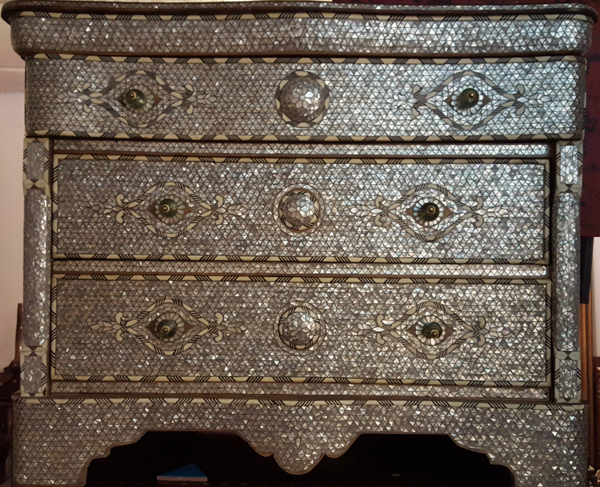 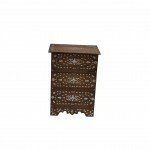 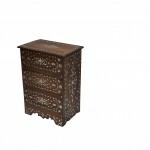 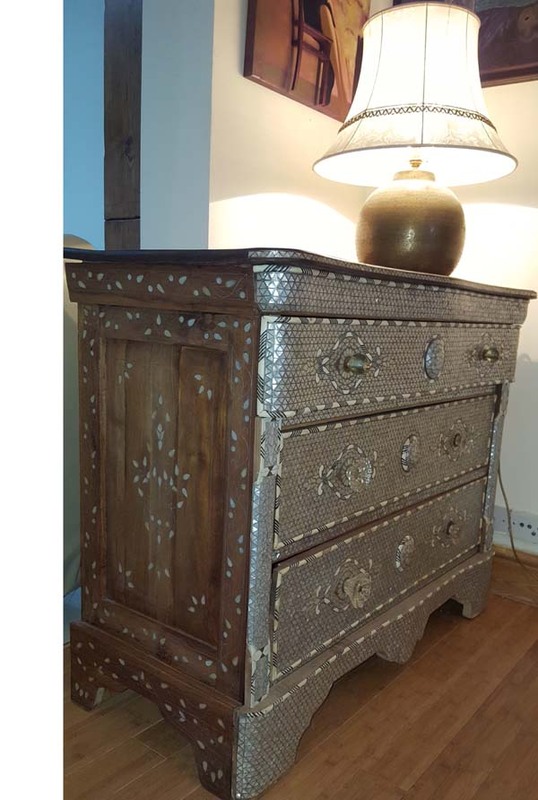 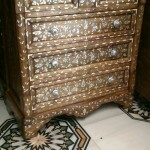 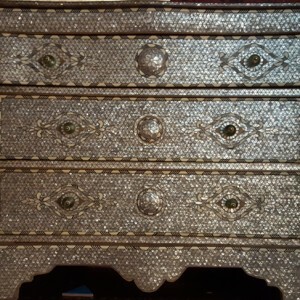 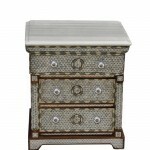 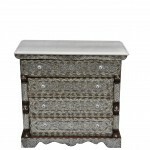 Hand crafted, fully salt-water mother-of-pearl inlaid chest of three-drawers finished in walnut, featuring bone edging and intricate fine metal alloy surrounds. 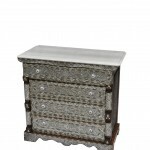 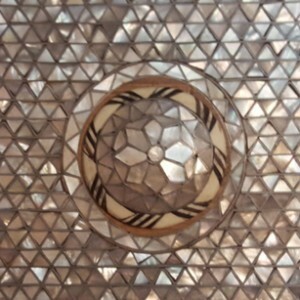 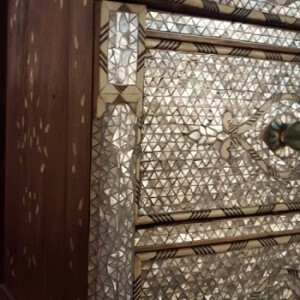 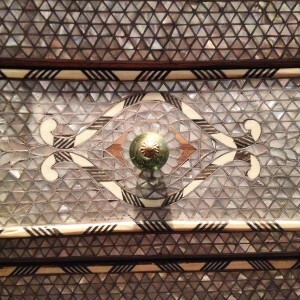 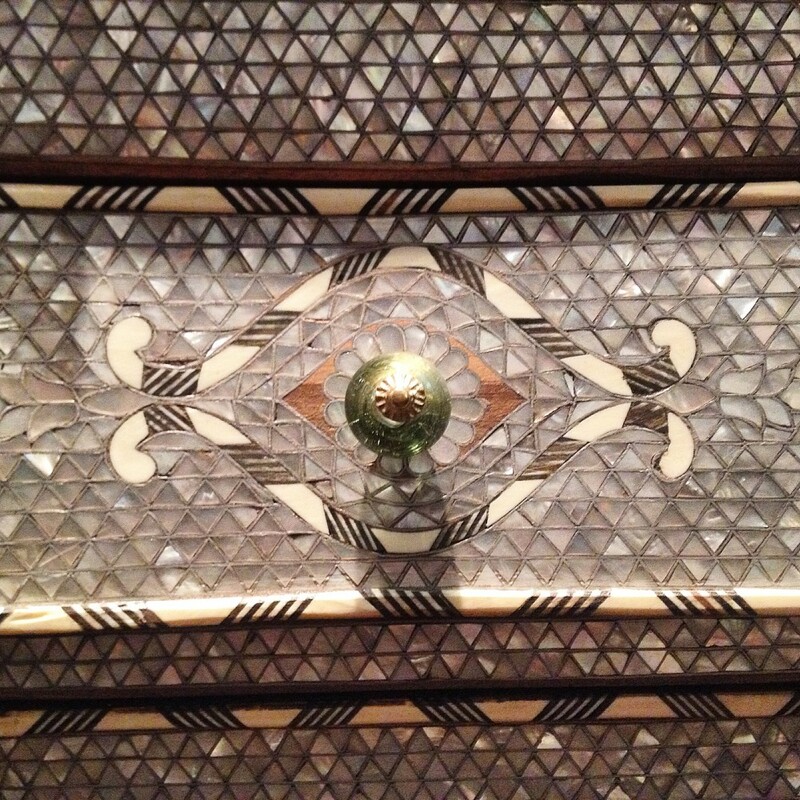 The stunning gloss finish on the salt-water mother-of-pearl marquetry forms a beautiful hand crafted pattern unique to each piece of furniture. 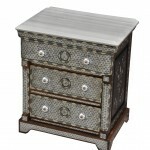 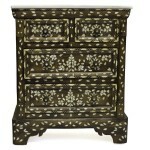 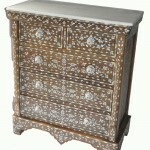 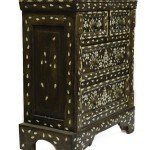 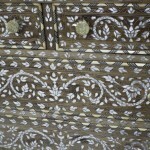 Similar items are also available with an unusual matte-finish freshwater mother-of-pearl inlay. 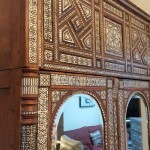 Authentic Syrian sustainably-sourced walnut wood is used to create the main frame of the furniture and is hand-carved and finished leaving the grain of the wood visible. 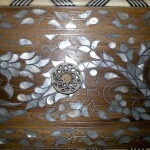 The piece is then edged in fine carved bone which contrasts with the lustrous salt-water mother-of-pearl. 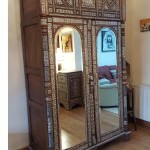 Specially commissioned pieces can be made to any size specifications.